As we all know, the price of BTC and other cryptocurrencies is most commonly expressed in USD. For example, one BTC equalled 7,500 USD on March 18, and more than 8,300 USD a day later. After all, the BTC/USD pair dominates the market. Consequently, there aren’t that many exchanges that trade the BTC/GBP pair. Coinfloor is one exchange that promises to focus on two main things. Safety is the number one priority, while being the most liquid GBP exchange for trading Bitcoin and Bitcoin Cash comes in second. According to Financial Times, the company has achieved this goal and become “the biggest exchange for bitcoin-to-sterling”. Still, it is not without its competitors, such as Bitstamp, another European giant, bitFlyer, which opened an office in Luxembourg recently, and Coinbase, which has just been licensed by the Financial Conduct Authority to deliver payment services and perform “e-money operations” in the UK. Even though, at least when it comes to the UK market, these guys have been around for longer than the other exchanges, many users are left wondering if the services offered by this company are enough to stave off the fierce competition. This is why we have decided to write a Coinfloor review. In our review, we will tackle all of the difficult questions about the Coinfloor exchange. Is it safe? Is there an official Coinfloor app? What are the fees? How does the Coinfloor Bitcoin price compare to other exchanges? If you’re thinking about trading here, but you are still not sure if this exchange is right for you, read this Coinfloor review all the way through, and you will get every bit of information you need to reach an informed, calculated decision. Before we get too far ahead of ourselves, let’s take it step by step and answer the preliminary questions first. What is this website for? Who is it for? Which currencies can you trade on this exchange? When it comes to supported cryptocurrencies, on the Coinfloor exchange you can trade Bitcoin and Bitcoin Cash at the moment. Support for Ethereum, Ripple, Litecoin and Ethereum Classic has been announced, and the exchange plans to add more cryptocurrencies in the future based on predetermined criteria. On the exchange, you can trade the two available digital assets against fiat currencies, primarily GBP, but also USD, EUR, and PLN. An overwhelming majority of the exchange’s trading volume (99.46%) belongs to the BTC/GBP pair, with a small percentage of traders trading BCH/GBP and BTC/USD. Although nominally available, the BTC/PLN and BTC/EUR trading volumes are insignificant and virtually non-existent. The exchange is called the “Coinfloor Market”, which functions as a peer-to-peer marketplace, connecting buyers with trusted brokers and sellers. The exchange converts BTC and the GBP directly, without double conversion to USD. When calculating fees, the company employs a sophisticated algorithmic rounding engine. When it comes to the company itself, it is a London-based company, founded by Mark Lamb, Amadeo Pellicce, and James McCarthy. It was founded in early 2013 and, after receiving an investment from Taavet Hinrikus and Passion Capital, Coinfloor brought Obi Nwosu aboard as a co-founder. Nwosu is currently the CEO. The company is registered in the UK, but it hasn’t yet received a license from the FCA. Nevertheless, this is a compliant, conscientious exchange whose standards and practices often go above and beyond what the FCA requires. The company’s team maintains legal contact with the FCA, just to be sure that the service provided by the exchange fulfils all the necessary requirements when it comes to protecting their customers. Before we move on and get to the issue of fees and the app, we will take a moment to look at the company’s history – or its ‘resume’, if you will. The following section will provide us with an overview of its accomplishments and failures over time, painting a picture of what the Coinfloor exchange is about. 29 October 2013: The exchange begins opening accounts for customers from Europe. 25 March 2014: The exchange opens for trading. 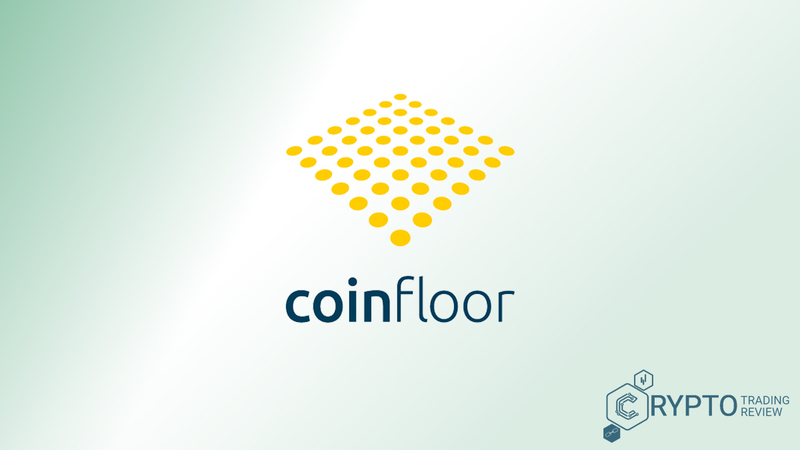 Early May 2014: Coinfloor becomes the first ‘Publicly Auditable’ exchange by making a proof of solvency based on blockchain technology available to all users each month. July 2014: Adam Knight, former Goldman Sachs and Credit Suisse managing director joins as executive chairman. November 2014: Obi Nwosu becomes Managing Director. Under his guidance, the company launches several services, including Coinfloor Market and Advance Withdrawal. Between January and December 2017: The exchange experimented with zero fees on trading. In the upcoming part of our review, we will take a look at account creation, and after that, the various features provided by the company, including the UI and ease of use. You definitely don’t want to miss this crucial info! So, how does one start trading here? First, you will need to open an account. Opening an account requires users to submit their email address and come up with a unique password. Same as any other exchange. However, with Coinfloor there are several extra steps for security reasons. For two-factor authentication, either register your phone number with an Authy app or register a YubiKey. You will have to provide personal details and prove that they are valid (identity verification). As a proof of identity, you can use your passport, driving license, or a similar document. As soon as your email is verified, your account will be created, but before you can use any of its features, you will have to wait for your identity to be verified, as well. According to data provided by the exchange itself, 90% of UK residents get approved and their account is fully verified within 24 hours (during weekdays). Problems may arise only in cases when users mistakenly submit incorrect personal information, or when they fail to submit a satisfactory picture of their ID document (either low quality, expired, or wrong type). For non-UK customers, the process takes longer – between 1 and 10 business days. When the whole process is finished and your account has been verified, they will send you an email to notify you that you can now use all of the services provided by the Coinfloor exchange. For an overview of the two account types that you can register for, read the following section of our review. See which one is better for you! To meet the needs of its different customers, the exchange offers the option of opening two different account types, not unlike many other cryptocurrency exchanges which offer a similar service. The first option is the private account. These accounts are for individuals and private investors who would like to trade Bitcoin and Bitcoin Cash. The other option is the corporate account, intended for businesses and companies who engage in Bitcoin trading professionally. The features of both accounts are very similar, apart from the considerably larger limits that the corporate account offers. Both accounts share the same trading platform. The Coinfloor exchange platform is easy to use and intuitive. It is perfectly optimized, with no lagging, no bugs and no latency issues. It feels very smooth and professional. The Coinfloor exchange can be accessed through Mozilla Firefox, Google Chrome, Safari, Opera, Android browser, and even Blackberry browser v.7+. These last two options function just as well as any of the other ones, since the trading platform is perfectly optimized for mobile access. There is also a Coinfloor Trader desktop application, but more on that in a separate section, where we discuss the Coinfloor app for desktop computers. Before we get to that, however, we will first see how easy it is to make a deposit here, followed by an overview of trading and the various Coinfloor fees. So, hold on to your phones and your laptops, and get ready to dive in! One of the most important things you need to know about this website is that there is a minimum initial deposit requirement when you are depositing fiat currencies. This is one of the features that some users may not like, since the minimum initial deposit is actually very high, which makes the platform very prohibitive for hobby traders and users who would just like to try things out. The minimum deposit used to be 1000 units of any fiat currency which is allowed on the Coinfloor exchange, so either 1000 GBP, USD, EUR, or PLN. However, it has since raised the minimum initial deposit amount, which now equals 2500 GBP/USD/PLN/EUR. And that is not all. There is also a fiat deposit fee, equalling 5 GBP, 10 USD, or 1.50 EUR. Surprisingly, for users who make deposits in PLN, there are no deposit fees. However, deposits in EUR are most likely cheaper than any of the other options on average, since they can be made through SEPA transfers, thus avoiding any additional costs. When it comes to processing times, depending on the currency and transaction method, it can take anywhere between one and four days before the funds become available for trading on your account. It would appear that Coinfloor is looking to attract only serious traders and users who are willing to invest more, trade more and participate more. This minimum deposit amount requirement also serves to weed out any potential scammers. Coming up: a short overview of trading on this exchange, so keep your eyes on our review. Trading on Coinfloor is simple enough, and it shouldn’t pose a challenge even for beginner traders. Users are basically given two options when trading: placing market orders and limit orders. Those who have already traded on other exchanges should be very familiar with those. A market order means that you place an order to buy/sell BTC at the current market price. Other exchanges sometimes call these orders “instant orders” or “fast orders”, since they are resolved immediately, and you don’t have to wait for someone to take your order or for the current price to go up or down. Limit orders, on the other hand, are orders where the users themselves determine the price. After that, the order is placed on the order book, waiting for someone to accept it. Limit orders are good if you believe that the price of BTC will change in your favour soon, or if you want to be able to trade while being away from your computer – meaning that you place an order immediately at a certain price, without having to wait for the current market price to match that price. You just place an order immediately and let the exchange do the waiting for you. Coinfloor does not offer advanced order types or trading on margin. However, the company will soon release a new platform with Bitcoin futures trading enabled! 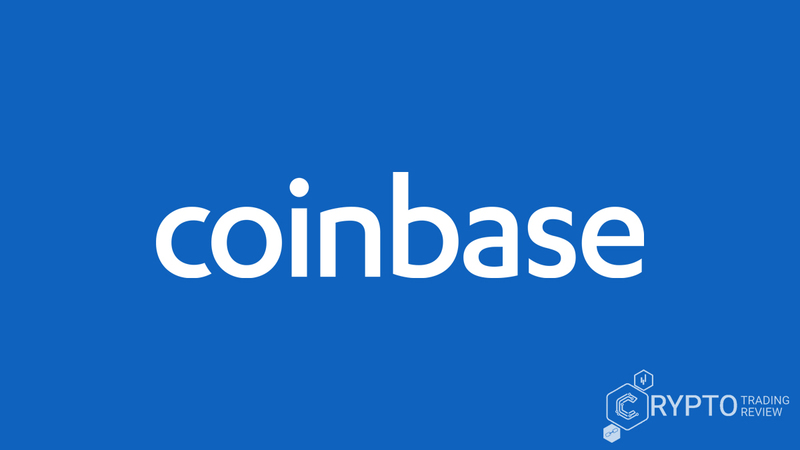 Since this feature is still in development, and since it definitely sets this company apart from all other exchanges, we’ll cover that in a separate section of our Coinfloor review, a bit further down the page. But first, let us talk about the trading platform layout and how to get started with trading. To be able to trade, you have to have either a certain amount of BTC or fiat currencies deposited to your account. Let’s say you have just opened a new account and your initial deposit has been processed. You can see all of your funds in your “Available Balance”. If you have assets there, you’re good to go. On the top navigation bar, you will see the “Exchange” option. Clicking on that will take you to a different tab, where you can see the live Order Book and choose whether you want to place a market order or a limit order. 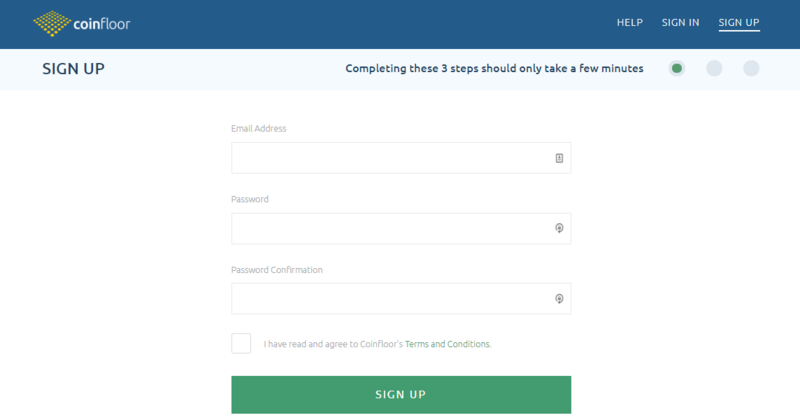 No matter which order you choose, the order form will require you to fill in 2 out of 3 parameters: quantity, price, and total. Based on the parameters entered, the Coinfloor exchange will give you your order details. Underneath the order form, you can see your open limit orders. All of your open orders are waiting to be matched. As soon as your order is matched, it is removed from the list of open orders, while your current balance is adjusted to take the latest transaction into account. All things considered, the Coinfloor exchange platform is among the best trading platforms of its type. While it could use a few extra options, it has a beautiful user interface, and all the options that are available function flawlessly. The exchange is not over-encumbered with too many unnecessary, clunky additions which serve no purpose. It is very clear what you are supposed to be doing from the get-go, as well as what the exchange is primarily for, and it does its job even better than expected. There is still one thing left when it comes to trading here, however: fees for trading. We’ll be talking about these, as well as other fees, in the section ahead. Don’t miss it! Like many other exchanges, Coinfloor, too, charges several different types of fees. The fees can be divided into three categories: General fees, exchange trading fees, and Coinfloor fees for deposits/withdrawals. When it comes to general fees, such as fees charged for account creation and management, this is very generous compared to some of its competitors. Creating an account, for example, is completely free of charge, as is storing Bitcoin and Bitcoin Cash in the company’s cold storage vaults. For GBP, 5 GBP fee to deposit, 10 GBP to withdraw funds. Minimum deposit amount 2500 GPB, minimum withdrawal amount 15 GBP. For EUR, 1.50 EUR fee to deposit, 1.50 EUR to withdraw funds. Minimum deposit amount 2500 EUR, minimum withdrawal amount 5 EUR. For PLN, no deposit fee, 1.0 PLN withdrawal fee. Minimum deposit amount 2500 PLN, minimum withdrawal amount 5 PLN. For USD, 10 USD fee to deposit, 15 USD to withdraw funds. Minimum deposit amount 2500 USD, minimum withdrawal amount 20 USD. No matter which country you are from, depositing cryptocurrencies will always be the most affordable option, since there are no Coinfloor fees for BTC and BCH deposits. However, there is a minimum deposit amount of 0.0500 BTC/BCH. The withdrawal fee equals 0.0005 BTC/BCH and is used to cover the miner fees. The minimum amount of crypto you can withdraw is 0.0050 BTC/BCH. Nothing out of the ordinary here. The thing you really want to know about, however, are definitely the Coinfloor fees for trading. And this is precisely what we’ll be dealing with in the next section of our Coinfloor review. Just like so many other exchanges, Coinfloor offers its customers lower trading fees based on their trading volume over a 30-day period. Unlike other exchanges, however, Coinfloor likes to keep it simple. While so many other cryptocurrency exchanges have 10, even 20 different fee grades, with each grade being awarded a 0.01% lower fee, Coincheck offers only three separate grades, which is very refreshing to see, and is definitely easier to keep track of. And not only that: The cheapest fee grade (0.10%) is unlocked already at 1,000,000 GBP/USD/EUR, which is an improvement over many other exchanges, where you are expected to accrue 20 million USD in trading volume before being awarded the cheapest fee. The most expensive trading fee on Coinfloor is 0.30%, which is definitely on the cheaper end of the spectrum. True, some other exchanges charge an initial fee of 0.25%, but so many more expect you to pay 0.60, even 0.85%. To sum up. Coinfloor fees for trading range between 0.30% and 0.10%. 0.30% for under 500,000 GBP/USD/EUR, 0.20% between 500,000 and 1,000,000, and 0.10% for trading volumes exceeding 1,000,000 GBP/USD/EUR over 30 days. For PLN, the grading works a bit differently. The three steps are at below 2,000,000, 2,000,000 – 4,000,000, and above 4,000,000 PLN. Now that we’ve taken care of the Coinfloor fees, join us for an extra minute or two while we talk about the Coinfloor app! What most users think about when someone mentions the Coinfloor app is a mobile application for Android or iOS. So far, the company hasn’t developed an official mobile app, and the unofficial versions are both inadequate and badly received by their users, since all they do is monitor the prices, if that. However, what the company does offer is even better. First of all, the entire Coinfloor exchange, with all of its features, is perfectly optimized for mobile devices, as we have already mentioned. Second of all, for users who use the exchange a lot, the company has developed Trader, an application for desktop computers. Among the advantages of Coinfloor Trader, the most important one is that there is no session timeout, which means unlimited, carefree trading for as long as you like. You can use the app for desktop at home and do some chores around the house while waiting for your limit orders to go through. We couldn’t do a Coinfloor review without mentioning the big news concerning the exchange. It was recently announced that the company will be starting a Bitcoin futures exchange. The new exchange, called CoinfloorEX, will offer Bitcoin futures at scale to private traders and miners, but also to hedge funds, trading firms, and retail investors. The futures contracts will be physically delivered, which is rare with crypto exchanges. Although some traditional futures exchanges already offer Bitcoin futures, those offered by Coinfloor will be unique, since they won’t be cash settled, and actual cryptocurrency will change hands during the process. The cash-settled processes are much more vulnerable to manipulation from bad actors, which will give Coinfloor a serious advantage compared to competitors when the first physically delivered contract actually launches in April, less than a month from now. Safety and reliability will be among its biggest assets. But what about Coinfloor’s own safety and reliability? Is Coinfloor safe? We’ll be answering that question in the upcoming section, so stay with us. For cryptocurrency traders, safety has always been, and always will be, one of the most important factors for deciding which cryptocurrency exchange to trade on. So, how do we rank Coinfloor in terms of safety? Here are several key points to consider. First of all, Coinfloor has never been hacked. With so many other exchanges which have succumbed to hacker attacks, this is actually a pretty big deal. Only this year, there have been 2 major hacks, one in Japan, and the other one in China. Apart from that, Coinfloor relies on a well-established banking infrastructure, doing business with a number of banks in Europe, all of which are happy to do business with the company. The biggest thing, however, is Coinfloor’s 100% cold storage policy. When it comes to receiving, storing, and sending Bitcoin, Coinfloor’s security standards have been copy-pasted from the Bank of England’s strict protocols. 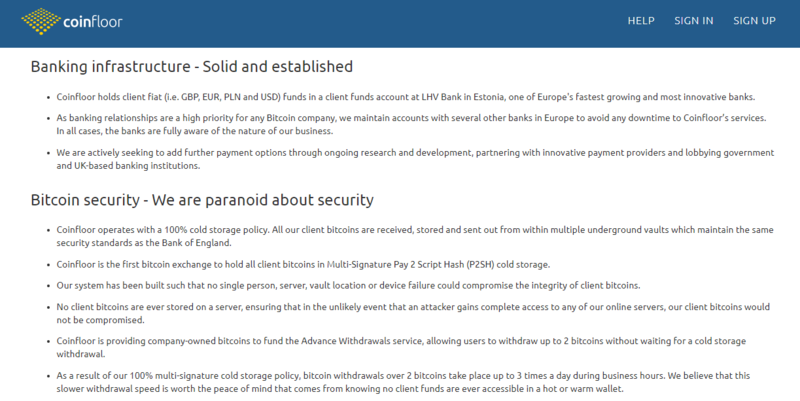 All Bitcoins owned by the company’s clients are held in Multi-Signature Pay 2 Script Hash (P2SH) cold storage. The system has been designed so that there is no single point of failure, and clients’ Bitcoins are never stored on servers. In addition, Coinfloor does not make its clients’ funds accessible in hot wallets, either. How, then, is it possible to do business at all, you must ask? Well, the Coinfloor exchange uses its own assets to fund the Advance Withdrawals service, making it possible for users to withdraw their own BTC/BCH immediately. That way, the users are spared the extra waiting time it takes to complete a cold storage withdrawal. All in all, is Coinfloor safe? In our opinion, not only is the Coinfloor exchange safe, but it has consistently proven itself to be one of the safest cryptocurrency exchanges in the world. If you sign up for a Coinfloor account, safety will definitely not be one of your concerns. Before our final remarks, you may want to check out a couple of user-submitted Coinfloor reviews. See what other customers have to say about trading here. We’ll see you at the finish line immediately after! This is the part where we let experienced traders and long-time Coinfloor customers do the talking. Here are their impressions. There are many other reviews like these on various forums, alongside a number of negative reviews, mostly focused on the lack of advanced trading options and the obvious lack of altcoins for trading. 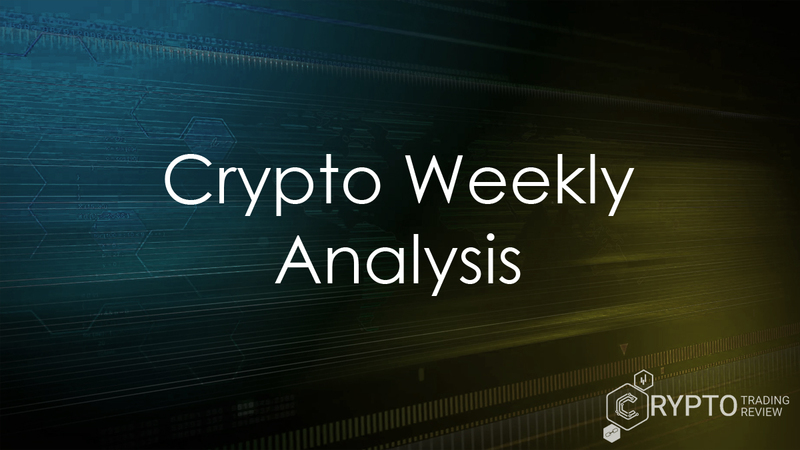 If you want to read about all of the other complaints and see whether they outweigh the exchange’s positive sides, make sure to read the final section of our Coinfloor review! At least now, in these concluding remarks, we can do away with wordiness and long explanations. Here’s a summary of all we have mentioned so far. As you can see, the Coinfloor exchange is an outstanding cryptocurrency exchange, with the highest market liquidity for the BTC/GBP pair as its crown jewel. Simply put, if you want to trade BTC/GDB, there is no better option available. It is perfect for users in the UK, as well as foreigners who often do business in the UK and need to use the GBP often, but a lot of their funds are in BTC. It is also suitable for European users in general due to cheap and fast SEPA deposits, and anyone around the world who wants to benefit from a secure and reliable exchange with a bright future. What we’re saying is: open an account here if you want to get top-tier trading service.